Thank you for your interest in our services. nova-Institut für politische und ökologische Innovation GmbH (“nova-Institute”). takes data security very seriously and has taken organisational and technical measures to ensure that data protection regulations are observed by both our staff and external providers. We would like to inform you of the scope and purpose of the personal data we collect, use and process as well as the rights the data subject through this data protection regulation. In general, the use of our services is accessible without entering personal information. However, different rules may apply to the use of some of our services accessible via our website. In this context, we collect personal information in accordance with German and European law. When you order fee-based services from this website, your personal data will be collected and further processed for the purposes detailed hereafter. The relevant data processing operations are under the responsibility of the nova-Institut für politische und ökologische Innovation GmbH, all our servers are hosted in Germany. 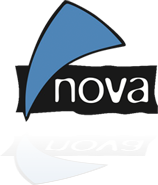 The collected personal data are stored on the servers owned and operated by nova-Institute and hosted in Germany. We take numerous technical and organisational measures to ensure the safety of the data processed through this website. The data transfer via internet is, nevertheless, always subject to security risks, so please be aware that complete protection against third-party access to transferred data cannot be assured. The partnering platform we use to improve your networking opportunities is located in the EU. Only nova staff members will handle your personal data, no third party has access. The information is deleted shortly after the event. It is up to you to choose to use this service. Personal data is any information that relates to an identified or identifiable natural person (sometimes called data subject), such as name, email address or phone number. Data that does not disclose the identity of a person, such as visitor statistics, are not covered. We only collect data necessary to provide you with the service or product you selected. All data is obtained by the data subject itself via registration process and/or email contact. In connection with your access, data transmitted by your internet browser is collected for security purposes, such as type and version of the browser you use, operating system, websites that linked you to our website, date and time of your visit or IP address. It is needed to deliver the content of our website correctly, ensure the long-term viability of our information technology systems and website technology and provide law enforcement authorities with the information necessary for criminal prosecution in case of a cyber-attack. This data is not used to identify users, it is anonymised and stored separately from any personal information we might have on an individual. The statistical evaluation of anonymized data records is reserved. We do not use any form of automated decision making or profiling. When you order fee-based services from this website (e.g. the participation at a conference or workshop, purchase of a report or service) the personal data necessary to conduct the purchase is collected directly from the data subject via input mask. The information will be used for processing the purchase, delivery, invoicing and follow up measures. We reserve the right to provide you with information on similar services via email, however, you can unsubscribe from these mailings at any time. During our events, often pictures are taken of speakers and participants, sometimes videos are taken. These may be published in the context of the event and as part of nova-Institute’s communication activities. In case you do not agree to be photographed or filmed, please instruct the photographer/film team accordingly. Access to all personal data as well as to all information collected is granted only to a defined set of nova-Institute’s staff members. These typically are accounting and selected members of the scientific staff. No third parties are involved. No personal data is transmitted to other parties. We determine the storage period of personal data according to the respective statutory retention period. Personal data is kept for as long as the data is needed for the purpose of storage or as far as it is granted by European and national legislation. The personal data stored by us is routinely blocked or erased if the purpose for storage is no longer applicable or the storage period as prescribed by European and national legislation expires. The General Data Protection Regulation of the European Union grants certain rights to each data subject, defined in Article 12 to 23, amongst others. In short, you have the right to access your data, the right to rectification, to erasure (right to be forgotten), to restrict or object to processing, to data portability, the right to complain to a supervisory authority and the right to withdraw consent. In case you wish to verify which personal data is stored on your behalf, have it modified, corrected, or deleted, or if you have questions concerning any information processed, or on your rights, please feel free to contact or data protection officer. Please be specific in your request to help us help you. In general, the legal basis for procession of personal data is Article 6(1) of the General Data Protection Regulation. The provision of personal data is also partly required by law (e.g. tax regulations) or results from contractual provisions (e.g. information on the contractual partner). It also can be necessary to fulfill contractual obligations.